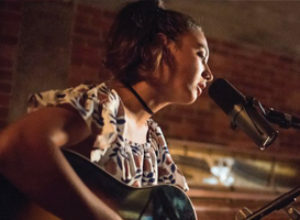 With a unique style of her own, folk singer Asch-Rose sings with an unaffected purity and an astonishing ability to take her listeners on a journey. Combined with Rogan Mortimer’s tasteful instrumental backing, they will perform an eclectic mix of catchy folk/pop tunes, producing an organic sound emanating originality. PLACE The Turner Centre bar prior to My Best Dead Friend. The Festival simply would not be possible without the support of so many generous sponsors, funders, patrons and supporters. It takes a huge amount of energy and money to plan and deliver a festival of this scale and we are truly grateful to all of those who have seen the value of what we do and helped make it all possible.